The DropInn Developer Guide is designed for developers who want to customize the DropInn Script. This guide explain you the concepts and helps to get familiar with the DropInn System. Readers are expected to have programming and software development knowledge, familiar with the PHP programming language and the SQL database language. 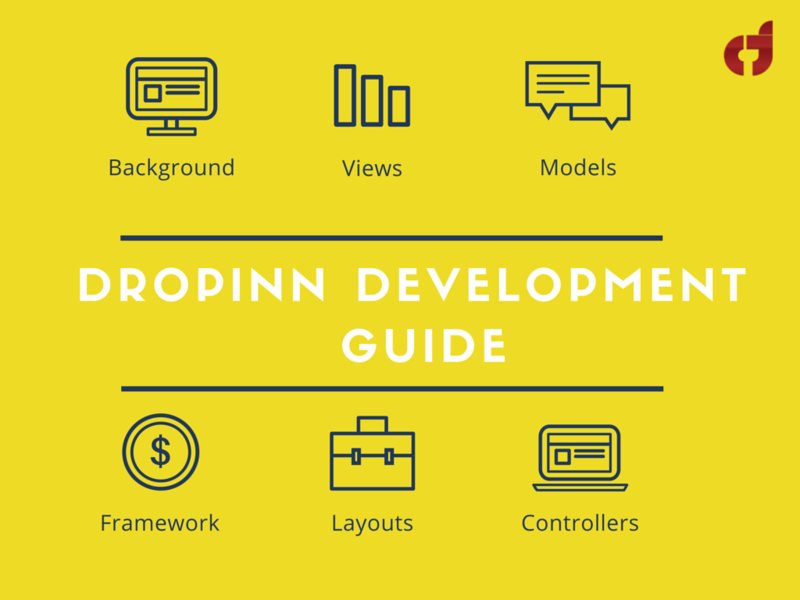 developers on how to make customization in DropInn is the primary goal of this Developer Guide. DropInn is built using the CodeIgniter framework. CodeIgniter is an Application Development Framework – a toolkit – for people who build web sites using PHP. Its goal is to enable you to develop projects much faster than you could if you were writing code from scratch, by providing a rich set of libraries for commonly needed tasks, as well as a simple interface and logical structure to access these libraries. CodeIgniter lets you creatively focus on your project by minimizing the amount of code needed for a given task. CodeIgniter is a dynamically instantiated, loosely coupled system with high component singularity. It strives for simplicity, flexibility, and high performance. Layouts: A layout is a component which wraps and places multiple views or nested layouts on a page. The style sheets are in the folder ‘css’ located in the root folder. Similarly the style sheet files for the other colors green, orange, pink, red and yellow are located in css_green, css_orange, css_pink, css_red folder and css_yellow folders. Logo images are stored in the ‘logo’ folder in the root. The video for the home page is located in the /uploads/home/ folder in the root. The video for the How it works is located in the /uploads/howit/ folder in the root. Views: The View is the information that is being presented to a user. A view will normally be a web page or a page fragment like a header or footer. Views are component plugins thatCogzidel Technologies – DropInn render data from a context. Views are located in its subsequent folder in the path, /app/views/templates/blue/. For example the views of home page like dashboard, popular, neighborhoods, etc are located in the ‘home’ folder of the said above path. In the folder ‘includes’ you can find the views of header, footer, dashboard header, host header, etc. The Model represents your data structures. Model classes will contain functions that help you retrieve, insert, and update information in your database. Models help to handle the database tables related to the specific feature of the system. Models are located in the path, /app/models. For example /app/models/property_model.php is the model class of property. Controllers serve as an intermediary between the Model, the View, and any other resources needed to process the HTTP request. Controllers are located in the path, app/controllers. For example app/controllers/rooms.php is the controller for the functionality of rooms display edit section. Language files are the in the Folder in /app/language. For example, for French language the folder is /app/language/fr. The inbuilt languages in the package are en->English, fr->French, gr->German, it->Italy, po->Portuguese and sp->Spanish. To add / edit word in the languages for the Front end pages you have to do it in commanlang.php which is located in the language folder. For language change in the Admin panel you have to do it in adminlang.php.